Harvesting stem cells from teeth? In the past, people having babies were making decisions about banking stem cells in the delivery room. Now, they may get a second chance, when their kids are sitting in the dentist’s chair. Stem cells harvested through umbilical cords, or blood banking, has been one way. Parents have been taking precautionary steps to protect their children’s health should disease or injury strike down the road. Now there is a less invasive way as researchers say there are viable stem cells in our teeth. It is a revelation Laura Robare acted on for her kids. Her 19-year-old daughter Monica had her four wisdom teeth out at the age of 17. Laura did it with no idea what the future holds for her daughter’s health. An insurance policy Elmhurst-based oral surgeon Dr. Robert Wolf believes in. “Take those healthy reproductive cells from your 10-year-old self or teenage self and they can be there when you are 50, 60, 70 years old to treat any disease, illness, or injury that might arise at that time of life is really a remarkable opportunity,” Dr Wolf says. Dr. Wolf feels it’s his duty to tell his patients about the process he calls easy, taking healthy viable teeth from a routine extraction like Monica’s and just banking them until the may be needed. He uses Massachusetts-based Store-A-Tooth to do it. The kit contains everything the doctor needs, complete with a tooth fairy certificate. All the lab requires is a healthy tooth with some blood supply. Baby teeth qualify, too. The wiggly kind do not. No danglers hanging by a thread for days on end. Baby teeth pulled for say overcrowding, bicuspids and wisdom teeth are all ideal. In a Massachusetts lab, researchers are carefully collecting and banking dental pulp tissue and the stem cells in it. But what about comparing cord blood banking to tooth banking? Dr. Joseph Laning with Store-A-Tooth says to suggest all stem cells are created equal is just not true. Store-A-Tooth is banking on the fact these stem cells could make a difference in muscle, bone, neuro tissue, fat and cartilage down the road. “I consider stem cell banking something of a tool box,” Dr Laning says. 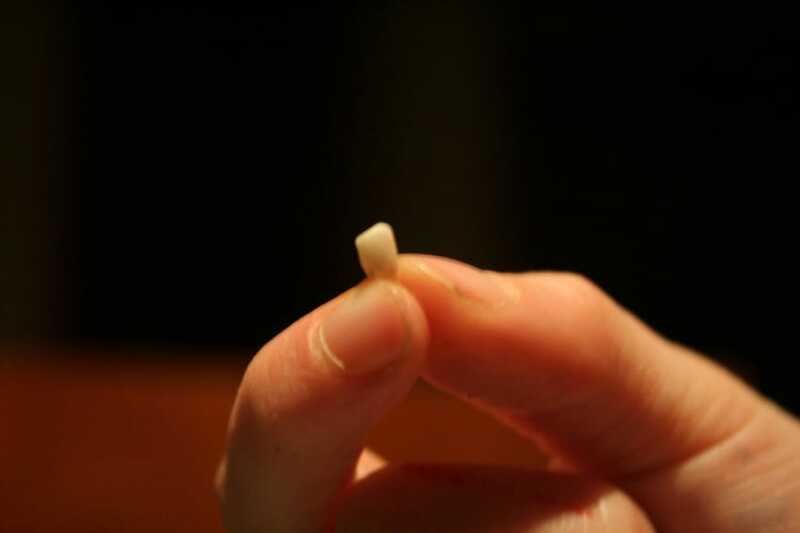 He says these stem cells from your teeth expand your medical tool box and perhaps do it in addition to the cord blood. It costs between $850-$1500 for initial processing at store a tooth and $120 a year to store the stem cells in liquid nitrogen. It’s not a cheap way to fill your medical tool box, but it is another way. So why have you not heard about it quite yet. Store-A-Tooth’s Dr Laning thinks there is a very good reason. “As of this moment, no one has called for the cells,” he says. No one has used them yet. But for parents considering cryopreservation for their kids?s teeth, it was a no brainer for the Robares. It is a medical resource they hope they will never have to use. “If it is one small thing that I can do that might help them in the future, I?m glad to do it,” Laura says. This kind of stem cell banking is for your use only or a family member’s if you so choose. No teeth with cavities or decay are eligible. Are some teeth better than others when it comes to stem cell banking? Store-A-Tooth says generally, younger is better. Growth potential is better and frequency of stem cells is higher in kids 6 or 7 years old to the time wisdom teeth get removed. They have also seen samples from 35-80 year olds that have grown well.